Chelsea take on AFC Bournemouth in the premier league game on Wednesday night, 31st January 2018 at Stamford Bridge. After string of poor results, Chelsea will be hoping to get back on winning ways and finish the season stronger. 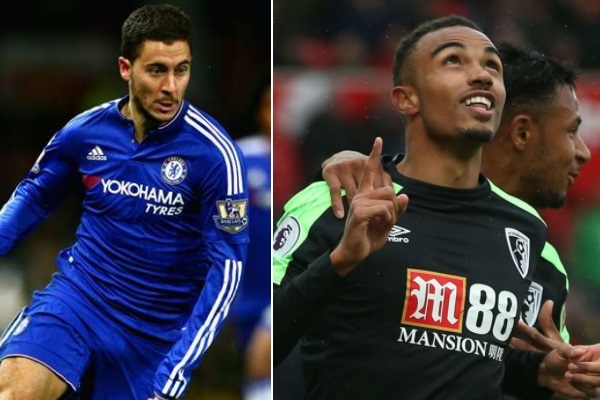 Bournemouth on the other hand are a decent side who will make it difficult for Chelsea. The game kicks off at around 19:45 uk time and we will have live links closer to the kickoff as well as match highlights after the game is over. Match Preview: Eddie Howe guided Bournemouth to premier league safety in their very first season and they are already on 21 points after 17 games in the league. However they have only won 1 away game off the 8 played so far and next fixture is against current league leaders Chelsea at Stamford Bridge. Howe will take any result from this game as long as the performance is good while Chelsea need to finally produce a convicing performance after string of narrow 1-0 wins. 17′ 0 – 1 Adam Smith for unfortunate to put the ball in his own net as Chelsea lead in 17th minute. 20′ 0 – 2 Eden Hazard made it 2-0 minutes later and it looked like curtains for Bournemouth. 42′ 1 – 2 Joshua King however continued his absolute superb run of goal scoring form against top teams with another goal just before the break. 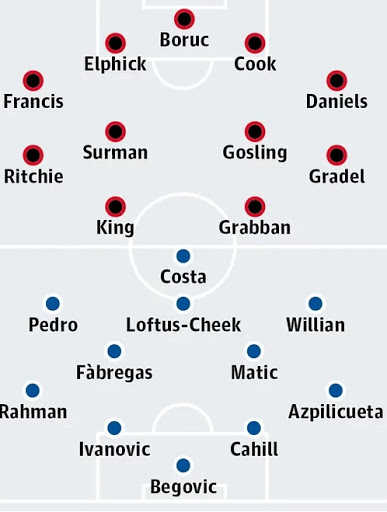 Team News & Lineups: Chelsea players and managment can not wait for this absolute shambolic season to end and with just 4 games to play for we can expect some changes in the starting lineup specially after 3-0 defeat in the hands of Man City last weekend. Hiddink is likely to name the likes of Kenedy, Traoré and Loftus-Cheek in the starting lineup while Miazga and Clarke-Salter might get a place on the bench. Hazard is doubtful while Terry, Remy and Zouma are ruled out for rest of the season. Last time these two meet was back in december when Bournemouth registered a 1-0 win at Stamford Bridge which turnout to be the highlight of their season. Mourinho was sacked 1 game after that defeat and Hiddink has kind of steady the ship since than. But nothing takes away the embarrassment Chelsea has suffered this season as they are the worse defending champions in premier league’s recent history. A nice build play from Chelsea with Fabregas and Eden Hazard playing a nice one-two and Hazard unleased a superb low drive in the bottom corner to give Chelsea 2-0 lead. 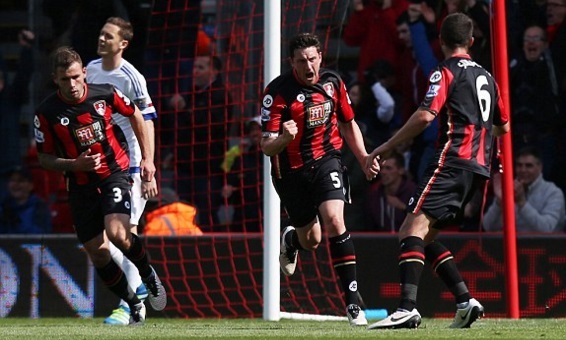 Tommy Elphick pulled one back for Bournemouth and gave homeside a chance to make a comeback in second half. But Chelsea scored two more with Eden Hazard completing his hattrick. Chelsea produced a decent showing in the first half of premier league game against AFC Bournemouth at the dean court as they raced to two nothing lead thanks to goals from Pedro Rodriguez and Eden Hazard. 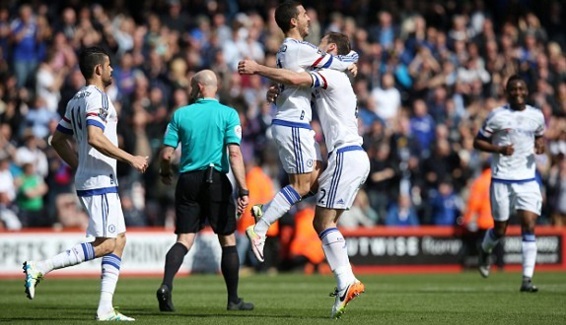 Bournemouth however pulled one back as the teams went into the break with Chelsea narrowly leading 2-1. It was Hazard’s first league goal of the season while Pedro also found the net in just 5th minute of the game.